EE has launched its own smartphone called the Kestrel - it's apparently the UK's cheapest 4G handset and can be all yours for just £99. It was announced way back in March, but now EE's Kestrel has launched and hit store shelves in the UK. The Kestrel can be bought for just £99 on a 4G pay-as-you-go plan, which EE says is the cheapest price plan in the UK. EE will also chuck in 10GB of data for free if you top up £10 on purchase. You can also get the Kestrel for free on a two-year contract with monthly payments of £13.99, giving you 500 minutes, unlimited text messages and 500MB of data. The Android device is powered by a 1.2GHz quad-core processor and 1GB of RAM. It features a 4.5-inch 960 x 540 LCD display and comes with 8GB of storage, with a microSD slot for extra. Chinese firm Huawei manufactured the Kestrel, basing it on the look of its own Huawei Ascend G6. 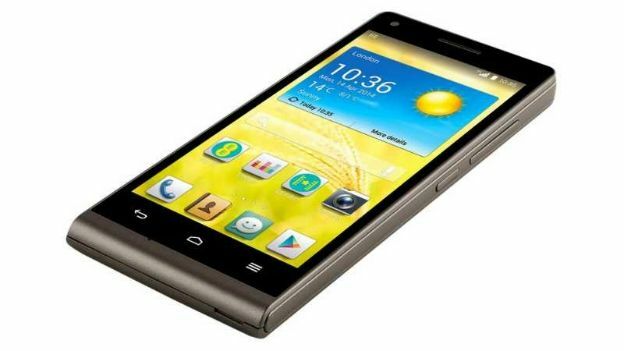 EE's Kestrel enters the battle of the budget smartphones along the likes of the Motorola Moto G and the Nokia Lumia 625. You can buy EE's Kestrel over the phone or at the EE website.